What is today known as the Ackerman Building was originally called the I.0.0.F. Temple Building. It was the first building downtown to be placed on the National Register of Historic Places. Tourists, outdoorsmen and nature lovers have plenty of opportunities to take full advantage of the great outdoors while in Fairbury. 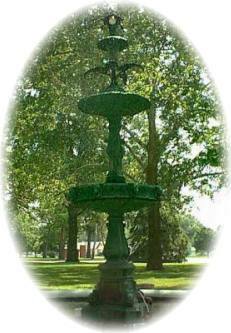 Fairbury has acres and acres and acres of parks. "Above the roar of the lions, the music of the calliope, and the laughter and chatter of the throngs of people, the cries of the circus barker were heard throughout the towns and cities where this great circus performed." Both the Bonham Theatre, and the First National Bank, located on the northwest corner of Fifth and E streets, were at one time owned by Luther Bonham.